A medium oak door with a difference. 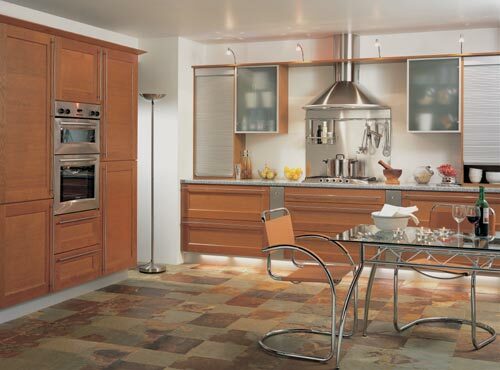 The horizontal grain of the centre panel gives the kitchen a very contemporary feel. Featured here with under cupboard lighting, aluminium plinth & tambour units. Granite worktops add luxury and practicality.